wow Congrats..that is amazing!! Keep going on Julie :) Sweet is perfectly made & I feel like taking one right away ;) YUMMY!!! YUMMY!!! Congratulations!! And lovely recipes to celebrate! With so many awesome recipes with awesome pics, you deserve lot more hits:) Congrats and sending more luck your way! Wow Julie...that looks so pretty!! and same pinch...my next post is also Kaju Katli :-) But I made mine smaller and thicker than the beautiful long and thin ones u made...Loved urs!! congrats Julie!!! wishing many more milestones to celebrate!!! kaju katili looks awesome!! wow... one of my most favorite sweet.. love it.. looks mouthwatering..
julie adipoli aayittundu. . .congrats. . .
Kaju katli looks super perfect and delicious. Congrats Julie, kaju katili looks delicious. Love your sweet collections too. Congrats on the milestone dear and the katli looks so yummy and inviting. Congrats on the hits! 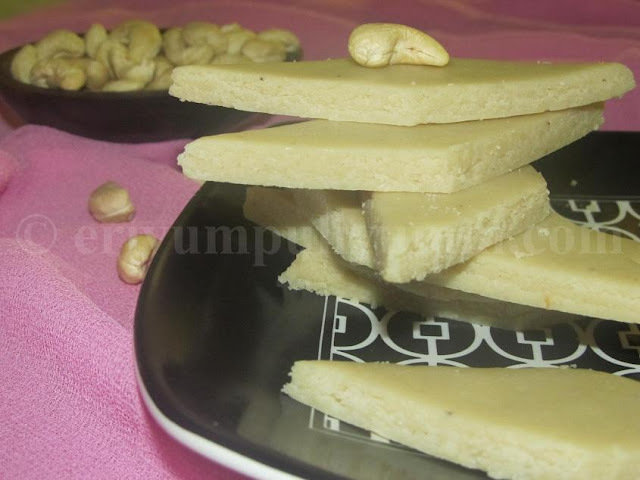 Burfi looks too tempting ya...love it! Congrats Julie, way to go dear. Keep rocking..
Kaju katlis,my all time favourite sweet,you have prepared them prefectly..
A big congrats on your hits and pic looks absolutely stunning. No doubt about the taste... You have got nice set of recipes.....want to see more of it. Thanks for sharing this lovely collection Julie, Congrats for the good page hits. Oooo...I love to try this..I love cashews..Happy Diwali to you and family, Julie. congrats on your milestone :) i love this anytime..
Congrats dear,keep rocking..love the kaju katli,perfectly made..wonderful collection of recipe,all delicious. What a great collection of sweets you have here. Congrats dear and Happy Diwali to you and family! Congrats Julie on your milestone...wishing u many more in future...kaju katli is our family fav too...u have made it perfectly...loved ur recipe collections, Wishing U n Ur family a very happy n blessed Diwali!! Congrats dear for ur 2L hit n wish to achieve more n more...The katli looks inviting!!! Awesome collection of sweets, Julie. I am in love with all of them. You've made it hard for me to choose from. COngratulations on your milestone Julie. kaji katlis look great. These are my daughter's favorite. Wish I could pick up few sweets they are like tempting me....Yummy and gr8 collection. 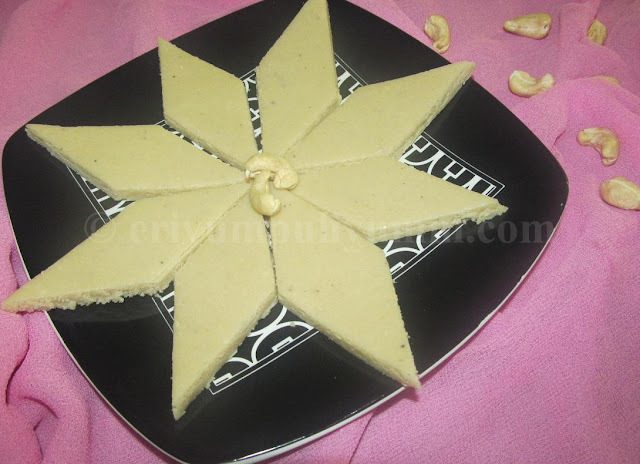 kaju katli looks so perfect....congrats for milestone...wish u a very happy Diwali!!! delicious n mouthwatering ..Happy Diwali to you and ur family. Congrats Julie..Tempting and lovely recipe.. Stunning! Such an irresistible and tempting collection of sweets! Happy Diwali! Congrats on yet another milestone..you are on a roll girl! 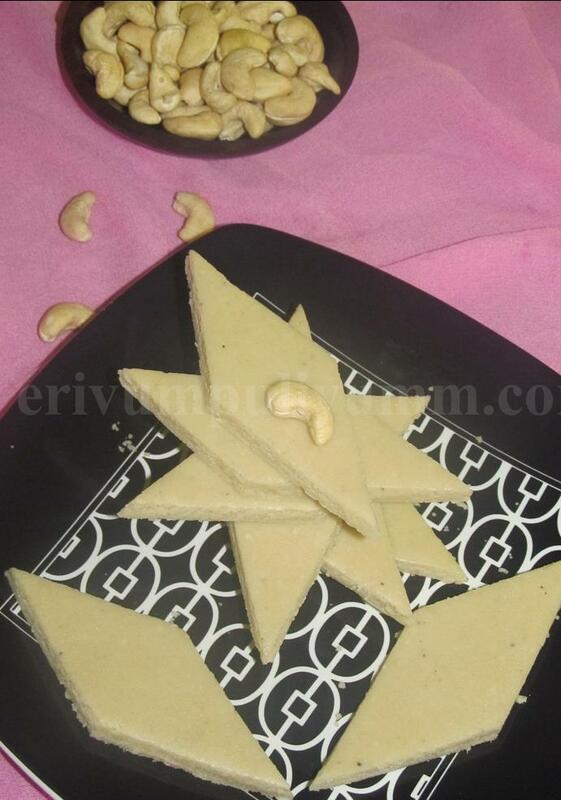 Love the kaju katli..I usually powder cashews with sugar. so they don't stick to the blades..gotta make this tonight! Awesome, Congrats dear! 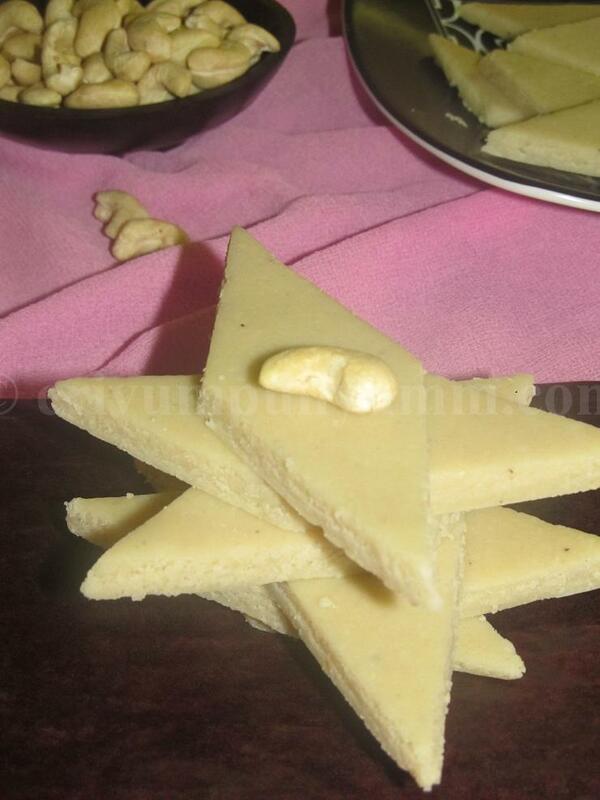 !Kaju Katli looks perfect n yum!! Very beautifully presented. And lovely collection of delicacies. Wishing you and family a very Happy Diwali!! Congrats for the milestone dear. A perfect sweet for celebration. Congratulations on your milestone Julie...Very nicely made katlis..one of my favorites.. Perfect Katlis, and congrats Julie.. THIS will be bookmarked , along with your mango coconut burfi. Too good. And wow, Julie you've reached the millionaire club, congratulations blogger buddy and my very best wishes to you! Congratulations. Love the diamond shaped barfi.